This article is for people who already have their noses pierced and think they are having some sort of healing issue or other problem. 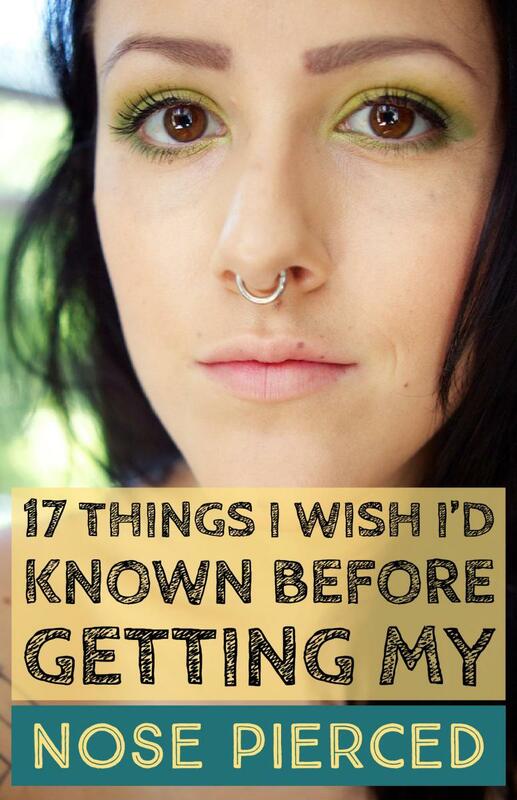 If you don't have your nose pierced yet, "All About Nose Piercings" has better information for you. Please note, if you just got your nose pierced, it perfectly normal for it to be red, swollen, tender, and maybe even bleeding a little. I mean, you just got a sharp object shoved through part of your nostril; that sort of reaction is to be expected. If you are worried that something about the piercing wasn't done right, go back and see your piercer. After all, it's his or her work. If you are really worried you have an infection, go and see a doctor. They are the best at recognizing that sort of thing. If you are looking for other information, you may find it below. The table of contents below offers shortcuts to specific topics. Jewelry choices and fit problems. What to do if your jewelry is disappearing into the piercing. How to change your nose ring. How to change corkscrew jewelry. Information about bumps, keloids, and scarring. How to recognize an infection. 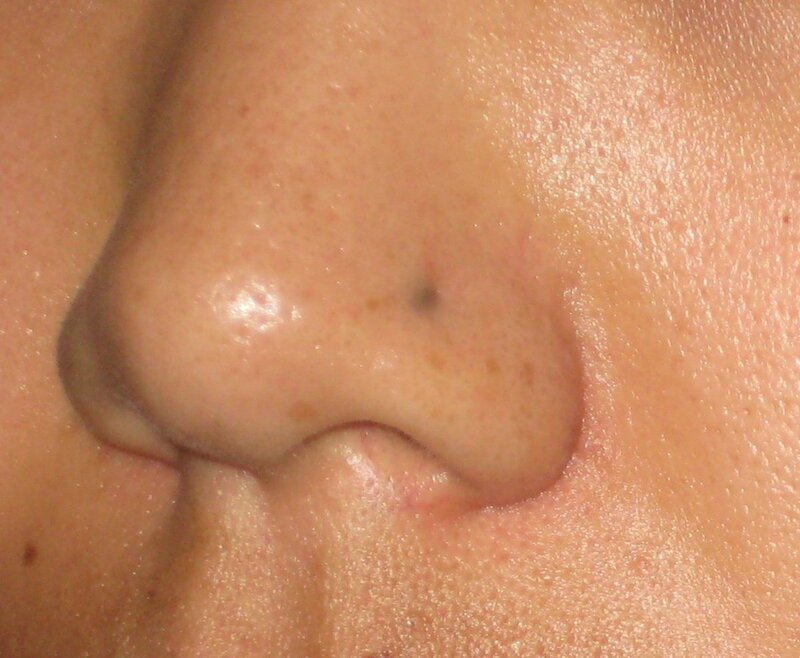 A simple stud worn in a nostril piercing. The bead on the outside has to be large enough that it doesn't sink down into the piercing itself. Here are a whole range of problems that people have with brand new nose piercings that are related to their choice of jewelry. All of these can be avoided if you pick a hoop or ring to start with and make sure it is gold or surgical steel. Too tight a fit: Many nose studs, especially those from the evil piercing guns, are very short and fit too tightly on the nostril. 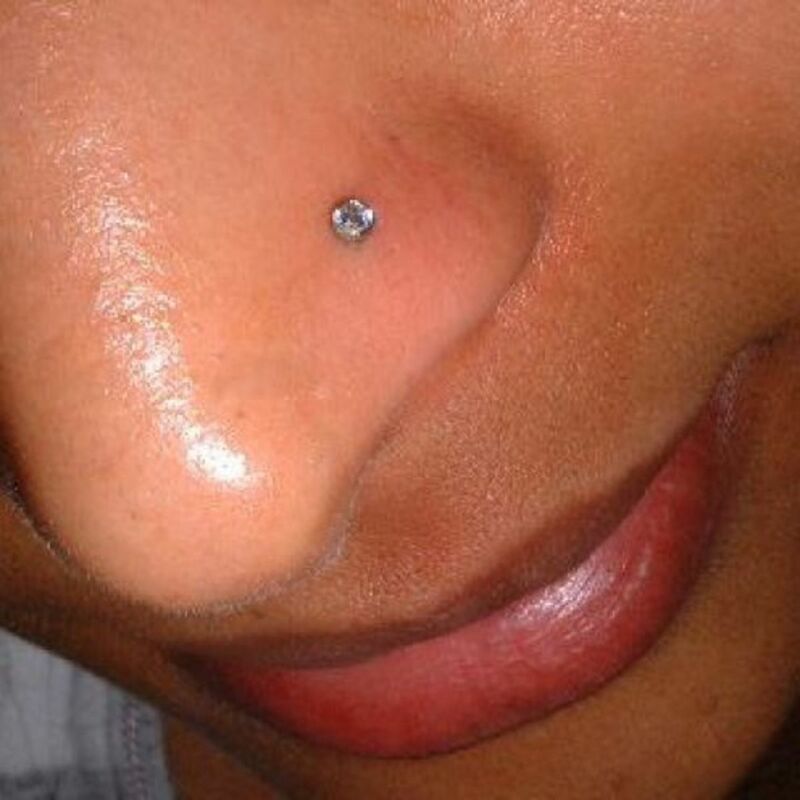 The initial swelling that follows a piercing can make them sink deeply into the nose, cutting off air to the healing piercing and making it impossible to clean properly. This can add to the chances of forming scar tissue (bumps) or getting an infection. No backing: I get emails frequently from people who put a backless stud into a nose piercing and then wrote asking for help after the jewelry fell out or was pulled out accidentally. The moral of the story here is that jewelry without a backing often doesn't stay in place. Initially it might, especially if the new piercing is swollen, as that can cause the jewelry to fit very tightly, but once that goes down, backless studs can easily drop out, especially at night when you are asleep. Black marks: There's really only one situation that causes this, and it's wearing sterling silver in a healing nose. The silver tarnishes (that's the black), and that tarnish rubs into the healing skin, leaving a stain that will be in the skin forever. I believe the only way you'd get rid of this would be to see a dermatologist who might have some method for removing the stained skin, but you'd probably have to give up the piercing to be able to heal the wound from the skin procedure. Help, My Jewelry Is Disappearing Into My Nose! If you have a brand-new nose piercing, and the jewelry has sunken into it or even one end has vanished inside it, it means you picked a poorly-trained body piercer to do your nose. Sad but true. Pierced noses swell up, and the size of the piercing channel is not stable. Back when I first started getting pierced in the late 1980s, body piercers seemed to know this. Now, many people doing nose piercings have almost no training, and it's literally hurting the customers. The jewelry that you start out with for a new pierced nose should not be the smallest you can get. This is why a reputable piercer will refuse to put in a teeny stud and why ring-style jewelry is really recommended to start. This prevents the jewelry from being pulled inside the piercing. Once your nose has healed (3 months later) then you can re-evaluate the size of the piercing and pick smaller jewelry. If you have a stud that is disappearing into the piercing, you need to go back to where you got pierced and have them switch the jewelry to be something with a longer post and with a larger outside bead, or better yet, get a proper nose ring. If there's one question I get asked more than any other, it's about bumps, keloids, and scar tissue. As the popularity of nose piercing has spread, unfortunately so has the number of piercers who are not correctly trained on how to pierce properly (no ear piercing guns! ), fit jewelry (rings really are best to start with), or care for healing noses (many piercers tell people they are just like ears, but they aren't). What the heck is a keloid, anyway? A keloid is scar tissue that grows beyond the borders of the original wound, creating a bump. These bumps of scar tissues sometimes appear right next to people's nose piercings if there was a lot of trauma during piercing, if the starter jewelry has too tight of a fit, or if they are genetically predisposed to forming keloids. The bumps can start to show right away, or they might suddenly appear days or weeks later. It's not uncommon for them to show up after a snag or following a painful jewelry change. If it's not a pimple don't pop it! And if a bump appears next to a new piercing, never assume it's a pimple. It would seem a lot of teens think that any bump that forms on their faces is meant to be popped. Pimples are pores that are blocked by a build-up of dirt and skin oils. They are frequently red from inflammation, or white as the oils build up into a head. The bumps that form next to nose piercings are very often not pimples, and the best evidence is that they bleed when squeezed. If this happens, do not ever do it again! Apply some anti-bacterial ointment to the wound. If the bump is still there once the wound heals, start treating it as a keloid, which is the most common form of scar tissue that forms alongside nose piercings, and leave it alone. 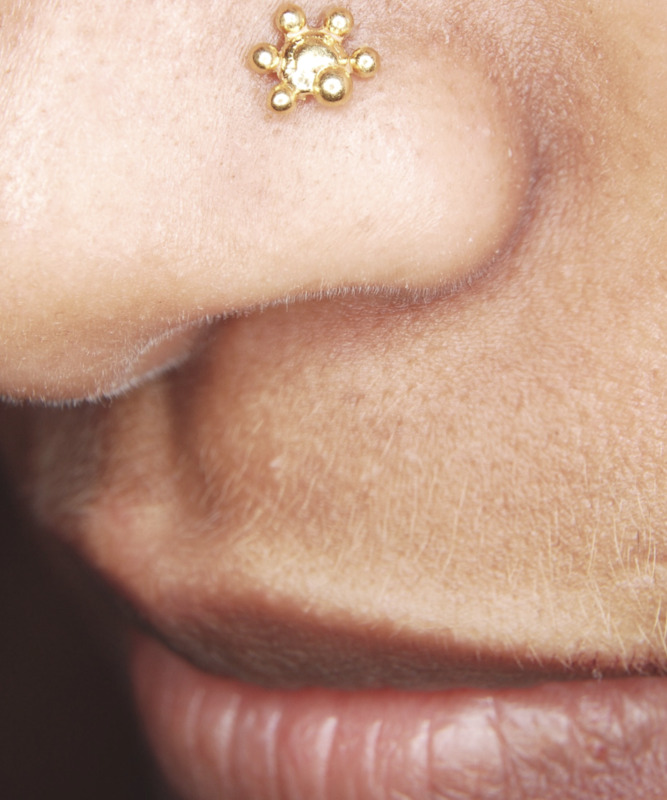 The tissue trauma of getting a nose piercing causes some redness, tenderness, and swelling, which may not show up until a day or two after the initial piercing. Being sore and a little red after getting a nose piercing is completely normal. It's when you have all of the following symptoms that you most likely have a problem. To treat an infection, you need to keep the piercing clean (this includes your hands that touch it and the pillowcase you sleep on!) and apply an anti-bacterial treatment (ointment or cream) to kill the infection. If you think you have an infection, you should really go back to see your piercer again or go see a doctor! I am not a medical professional and cannot tell you for sure if you have an infection or not based on a comment or description! I just got a piercing 6 days ago and i noticed that there was a white bump. what could that possibly mean? Hi my name is Jade Olvera and I got my piercing 7 months ago and it hurts and i also have no idea what to do so if you could please help me understand what is going on it would be great. Thank You. hi, i pierced my left nostril last year in a bit lower position than it should be, i still couldn't change my nose screw alone,and needed help to do so...it still hurts badly and i see that there is a little swelling around. Also, the doctor who pierced my nose, pierced it in a tilted way, i don't know what to to do, please help. I have a nose perching I got 3 years and 4 months ago. I recently changed to a ring a month ago and I’m having problems with sensitivity. Why is this and what can I do about it. I spray salt spray on it often. I’m worried I have scar tissue now. Really and pissed as I waited so long and my piercing was fine. Hello, I got my piercing late January this year and I've had a backless stud for all these months. I've had complications of it constantly being pulled out, so I've figured the healing might take longer than expected. I've just got it replaced with a ring, but now it's hurting and swelling a lot. Help? I have a nose piercing on both side and have two studs in . one side is alright I have had one for like one year and a half and that’s fine but the other side has that same stud but I can’t get it out without it being painful mind you I have had that other stud in for like 3-4 months what do I do ? Should it of heal now and if it hasn’t what is happening like there is no redness or swelling it just hurts like hell every time I try to pull it out and I haven’t pulled it or played with it in the healing time so idk what’s happening what should it be ? 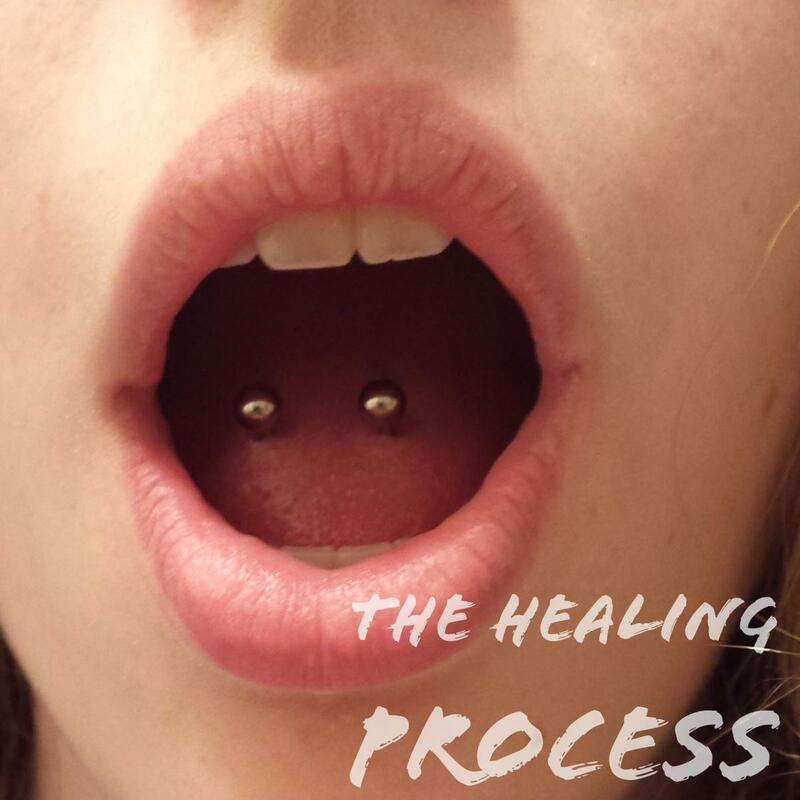 Most piercers do not let you start off with a ring, you are supposed to start off with a stud to avoid infection. My nose has been pierced for at least 2 yrs so I thought it would be ok to leave it out for a work mtg then I forgot about it until that night and I couldn't get it all the way in. I pushed for a half hour and got it almost in but would not come out the inside. Next day I have piercer get it in but now the hole is huge. Will it shrink? Also, it is a little dark. Was really dark the 1st day and hard, but that part peeled off. OK. So, I've had my nose pierced for like 3 days and the stud won't completely go inside. It's like I'll push it in and it'll pop out. Also, my nose was pierced by a gun. Please help I don't want it to close up completely. I got my nose pierced 5 days ago and my jewellery has sunken into my skin, I’ve applied salt water and some coconut oil to move it up and reduce the swelling, but it doesn’t seem like it has healed too much, please help!! I’m freaking out!! Hi I just pierced my nose yesterday and put in a surgical steel nose ring. I cleaned it with steam towel and salt & water soak last night and again this morning. but at some point the nose ring opening (the tiny cut in the steel) moved into my piercing. I tried to turn the ring around for a long time without pressing too hard (so that it doesnt bend and dislocate to make it worse) but it wont move at all. And I am worried i dont know what to do. Some people say push it and others are saying leave it as it is and try moving it after its less tender. But my main concern is that the ring opening may cause issues with healing if it stays inside the piercing. I wouldnt be bothered with moving it so early if it wasnt in the position it is now. What should i do? Wait longer? I was wondering is it normal for your nose piercing to be pierced diagonal instead of straight through? I've had my nose pierced for a month and a half now, they said it was fine to change my piercing two weeks after I got it pierced as long as it wasn't hurting, so I changed it. Flash forward I go to change that on a few weeks ago, last night I changed it again, and it didn't want to come out, when I finally got it out I put the new one in but it didn't want to go in, when I got it in their was a what looked like skin stuck to the piercing that had already gone through. What dose that mean, and now it hurts and I'm cleaning it like normal, and there's a little crust forming near the piercing, what dose that mean, and how can I get it to stop hurting? I got my piercing two days ago, and my safety glasses keep pulling on it and causing a lot of pain. I have to wear them for class. I got my nose pierced 3 days ago. The first 2 days were good, no problems. But I woke up today and there was crust surrounding my nose piercing and it was sinking in. When I try to lift the stud there's blood and it seems like the original hole is expanding. I don't know what to do or if this is normal. Btw I got it pierced with a gun. I don't like the placing of my nose peircing and I took it out today (the day after I got it done). 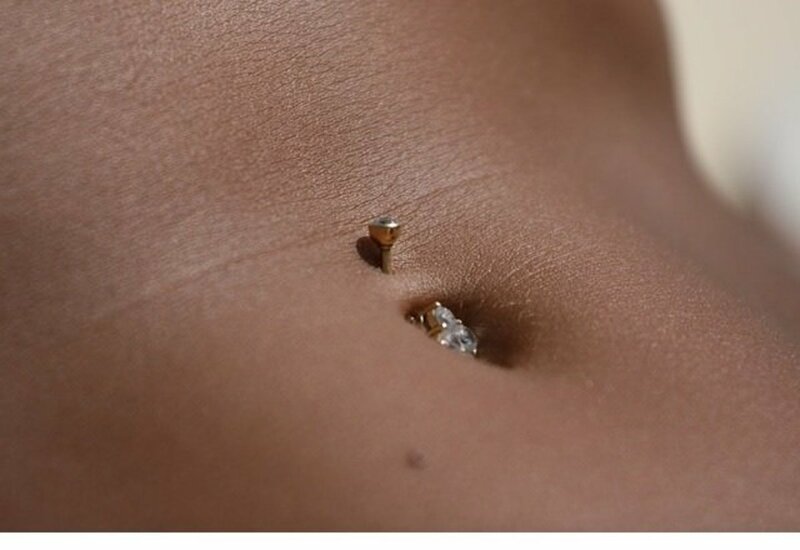 How long do I have to wait until I can get it re-pierced in the right place? I have 4 months with my nose piercing and every time I put it back in it always hurts but there's no liquid it just hurts. It's also not red. There's moments where it's feels tight and moments where it feels lose. I just want to know if it's normal for it to still hurt every time I put it in. How to heal the painful pierced nose with copper ring. my piercing didnt go all the way through my nose bc the stud was too small, length wise, so i just left it there. I have a bump on the last layer of my piercing now, I can't see much of it other than feel a bump from picking the wall of my nose where the piercing should've went through. 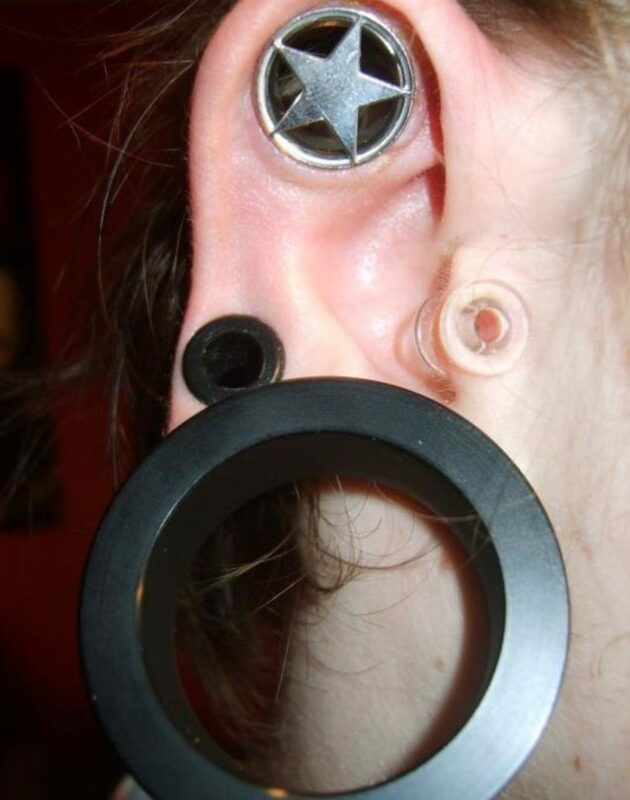 can i push the needle through the bump and put a longer stud? Or should I let it heal, THEN do it. Don't tell me to go to the doctor too, I'm stubborn. someone tell me!!! I just got my nose pierced and for jewlery I got a nose bone. I'm afraid that when it fully heals the nose bone won't come out. I have had it done for 3 weeks. Would it be okay if I took it out and put a ring style jewlery in? I got my nose pierced with a stud and the guy gave me the smallest one. But the place is said to have a really good reputation and was voted best in the entire town. The issue that it may be infected or sinking didn't present itself until a month after the initial pierce. Is it a problem that it didn't show up until now? Help please, I've had my nose pierced for about 6 months, but I've been trying to take out the nose stub to change it recently but every time the nose stub starts pulling out some white liquid will come out as well around the piercing. I don't know if it's infected or not because I feel no soreness and it isn't red either. I have had a few instances were I'll accidentally pull out the nose stud while sleeping or doing something, I don't know if this could also be the cause. Got my nose pierced about six hours ago. The back is a corkscrew. I got a diamond, in a bezel on top. It is coming up at the pierce site. Is it ok? My artist shop is closed now. I thinking its better up than disappearing inside. It's been 6 weeks of my nose piercing. Noticed a bump next to the piercing. I've been doing salt soaks and it looks like it's disappearing but it bleeds a little. Notice when I soak it white pus comes to the surface. I clean it and than add a little tea tree oil. Am I doing the right thing? I took the stud out of my nose several months ago . The hole still hasn't fully healed on the outside . Any suggestions? I had my nose piercing 8 months ago. The piercer pierced my nose a little bit higher. And now I have got swelling when I removed and rewore it. Does this affect my nerves? I mean y am i getting swelling? I got my nose pierced five days ago, it is a nose ring that doesn't quite connect. It has the flat end inside my nose. Well that has gone through the whole and the skin has nearly healed inside my nose and I can't push the piercing back through the other way. What the hell do I do?!?!?!? I had my nose piercing for two weeks now can i change to a bigger stud? Hi i had my nose peirced nearly 3 weeks ago now its a l shape stud do i still have to wear a bandaid when i sleep it has no backing. All I've ever heard is that you should never put any creams or ointments on a new or irritated piercing. It keep air from getting to the wound. And my sister, who's worked in piercing and tattoo shops for years, tells me that people are typically pierced with a stud, and you can't get a ring until it's already healed, because of how much movement comes with rings. Hi I got my nose pierced a few months ago and whenever I attempt to take it out it really really hurts when the barb is about to go through the hole is it normal to be painful? hi. i used to have a nose piercing in 2015. i ended up taking it out due to infection about 7-8 months of having it, and i just yesterday went in to a great trusted shop to get it re done as well as the other nostril freshly pierced. on the one i was getting re done, he decided to re stretch it to proper size with a taper because there was already a small hole still there. now its the day after, and the stud seems to be a little sunk into the piercing. not completely, but its definitely deeper than the freshly pierced side. I was wondering if thats normal for that situation; maybe its just more swollen because stretching hurt more than the fresh piercing, or if i should go into see the piercer and ask him about it. maybe get the studs changed to a larger size? hes been piercing for 12 years and is an extremely well trained piercer. My nose has been pierced over a month, has always fell out, swollen, red, it also used to be infected, but we treated that. My issue right now is that i sorta popped the keloid i thought it was a pimple of some sort, i even by accident make a second hole in my nose.....but oucky it healed....do you gave any tips, like for keeping the swelling down, and having the nose ring stay? Hi I got my piercing done 4 weeks ago and 2 weeks ago a tiny red lump showed up next to my piercing. My piercer said it could be a rejection lump but I have had my nose done before and it was fine so then she said it could be something trapped inside it. I've been cleaning it with boiled water as I was told to stop using salt after 3 weeks. I've also been putting savalon on it and the lump is still there. Today I went to the doctors and was given an antibacterial cream but I don't think I have an infection at all, I'm worried this lump is going to scar and I don't know what to do about it. Hi, so I recently pierced my own nose 3 days ago. I followed all the proper sanitary steps while doing so: Disinfecting needle and nose ring, cleaning nose in and out and washed my hands, etc. I don't know if its normal after this amount of time but a crust is forming around it which I have been cleaning with a cotton bud in salt water. There is also a redness around it but I feel like it should have gone down by now, tenderness is also there when I touch around the ring. Just wondering if this is an infection or is normal. I got my nose pierced a little over a month ag0, last week it fell out for the first time and I didnt realize until the morning, I got a new ring, and put it back in the piercing fine, but last night it fell out again at night and when I noticed in the morning I tried to put it in but it wont go through the inside part, would it be bad of me to push it through? is it already closed? the inside of my nose around the hole is also kinda hard, would that make it dangerous to put the ring back in? I got my nose pierced about 5-6 months ago, it's ALWAYS red and swollen kind of. I know it's the piercer's fault (they pierced it with a gun and didn't even clean everything well) so I'm just wondering is there anyway for it to be normal or do I just remove it, let it heal, and then re-pierce it, and if I will re-pierce it when should I do it? how many months after I remove it? I got my nose pierced a little while ago but I don't know what size gauge I got or how big my hoop has to be? Hey, I just got my nose pierced a few days ago and it's literally really sore and red. I got it pierced on the left but I read about if you get a nose piercing get on the left it can have issues, but the thing is I only found that out after I had it done. Have you got any tips on how to stop the soreness and redness? I normally use salt water but nothing seems to work. Hi I got my nose pierced three weeks ago and everything was fine .. i just noticed i got a tiny bump on the side of my nose ring.. its flesh like and looks like some white discharge might be in it . im not sure. It's not infected . what to do ? I got my nose pierced two months ago and when I went to change it to a hoop it bled and where the hole is it is puffy and I couldn't get it in and I currently have a stud in but I don't think it's in all the way because there is a bump on the inside too. HELP ME!!! I have had my nose piercing for 2 years and 7 months and it is now constantly infected!! At first it seemed to go through phases, it was healthy, then it was red and irritated. Now for the last couple of months it has been red, irritated, oozing puss and blood and extremely sore and no matter what I do it is not getting better. I clean it with saline because that's what the piercer told me to use. She said no ointments or anything. I never touch it with dirty hands, I don't play with it. I keep it as clean as humanly possible. I have tried to remove it when it was healthy but I had such a hard time that then it would bleed and be really sore. I don't know what to do. I read that it should not be removed while infected because it can cause an abcess. What should I do?? Should I use an antibiotic ointment? I am just ready to be done with the thing but I can't take it out myself. I've watched videos, I've used tea tree oil, I backed off from cleaning twice a day to only once. I let very hot water run over it every night and morning. I'm just at a loss and don't know what else to try. Please help! 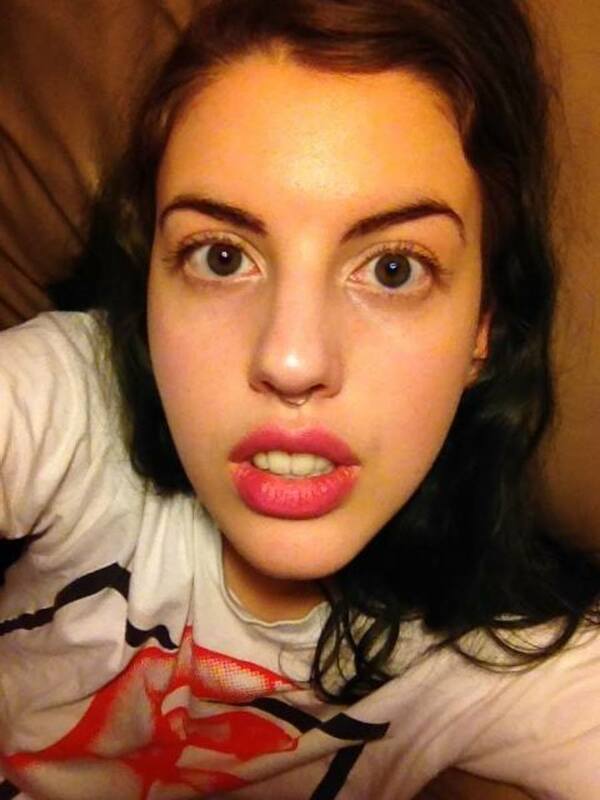 I got my a hoop nose ring about a month ago and cleaned it regularly with a saline solution. About a week ago I noticed a bump on my nose and yellow crust form around the piercing so I immediately started treating for an infection by mixing boiling water and sea salt and soaking it. The bump is starting to get smaller but now it starts to bleed when i clean it and the hole has gotten larger (from where the bump was) is this a sign of the infection healing or should I be worried about a bigger problem? Sorry off the bat, I'm a problem child. I've had my nose pierced for nearly 8 months now so you think it'd be healed. Sadly no I've been troubled with keloids since April (pierced in March) and I've been usingg tea tree every day for the past few months and as it does seem to shrink it never fully ever goes away. I'm getting really tired and sick of it and I'm scared to go to a piercer in case they demand I take it out. I do wear glasses so I don't know if them bumping it constantly causes the keloids but I never feel my piercing nudge. On the very first night i had my piercing done I forgot I had it and caught it on my glasses. It was horrible and painful and if it wasn't for the corkscrew back it would of came right out. I know that probably caused a lot of trama but that was months ago you think it would of recovered. One of my old school friends is a trained piercer and I asked her opinion and she was completely stumped. She wanted me to come in to her studio but sadly it's too far away for me to visit at the minute. Do you have a scooby doo what I can do? . ___. So I just pierced my own nose two, almost three days ago. It was very sterile and painless. I researched for months before hand and got so many mixed opinions and different advise from close friends. I have an after piercing lotion that I got when I pierced my 2nd ear lobe hole and some 70% alcohol from the drug store. Some people say I should use neither, salt water, or antibacterial soap even. I really need help from a professional, I would not like to get it infected. How do I properly clean my nose piercing? i got my piercing done a month ago. i woke up and found out my piercing ripped out of my nose. i was able to put it back in and it was fine, but then i noticed this bump was growing next to my piercing. i thought it was a pimple and decided to pop it but it turns out its skin. i don't know exactly what to do. I'm cleaning it like i normally would but should i take the piercing out and let it heal ? or do i just let it be. HI, i got my nose pierced 6 weeks ago. as soon as i got it done i felt like the stud was too long. i developed a small bump which has now grown a bit bigger. there is also a bump on the inside. i have cleaned it. used sea salt soaks. today i went back to the piercer and she said i have to keep pushing the bump back. she used alot of pressure to push the bump back using a q tip. but it hurt soo much. she told me to keep doing that and go back to her in a week. i went to seek advice from a piercing shop near by. she told me the bump is because the stud is too long causing damage. she advised me to take it out and she will re pierce it once it healed. (she didnt want to go anywhere near this piercing). i really dnt want to take it out and get it re pierced. i just want the bump to reduce in side so i can change to a smaller stud. what can i do? Aranxa, what you described to me was you having a series of experiences over the course of several weeks which were nothing but trauma and irritation to an unhealed nose piercing. Repeatedly. While not maintaining a regular, steady care routine. Unfortunately, what you still have is a piercing that may still be unhealed in the center, which may be developing scar tissue on the outside. You have to get an experienced piercer to look at your nose, I can't guess from half a world away, AND you need to realize that healing a piercing is not effortless, it is a deep tissue wound, a puncture, not a scratch on the skin surface. You may have to change your entire lifestyle around the piercing in order to heal it, or it may be better for you to not have a nose piercing. But I can't make that decision for you, anymore than I can stop you trying a rapid succession of healing remedies inconsistently and tell you what is best for your situation. Get genuine medical advice on your nose, develop a gentle care routine based on that advice, and then for three or four months take consistent care of your nose and stop putting it in deliberately traumatic situations that slow down or stop healing. Hi, I really need some help. I got my nostril pierced almost two months ago (August 9th, 18g, L shape, I believe surgical steel, not sure at this point). About three weeks after, I went swimming (bad idea). I didn't know about bumps at the time, so I popped what I thought was a pimple and started applying tea tree oil. When it got worse and after I did some research, I realized I shouldn't have done any of those things, so I stopped. Ever since, I've been doing hot compresses with saline, sometimes with chamomile tea and for a time I was applying aspirin paste overnight. However, in the time since the bump came up, I had a trip on a cruise (beach, sunblock and sun burn). I tried to care for it the best I could but it was not getting better. Right as my trip ended I got a horrible cold (sneezing, runny nose AF) and three days ago I had to move to France for work. I could never reach my piercer while I was still home, and now I have a big, red, raw looking bump that doesn't seem to get any better; I'm in France, I don't speak French, I don't know where to go. The internet says to leave it alone, do hot compresses, dip it in saline, do tea tree oil, don't do tea tree oil, put antibiotic cream, don't put cream on it, change the jewelry, don't change it... I'm getting a lot of anxiety out of this, please help me. Tal, adverse reactions do often seem just like an infection, and are as uncomfortable. There's no way to tell the actual metal quality of something as cheaply made as jewelry from Claire's, but large amounts of nickel are often present in bad sterling and it irritates many wearers horribly. Look for jewelry that is surgical-grade stainless steel for a silver look that will be body-compatible for decades. Arielle, I have no way of knowing the future or if anything will happen to your piercing. Emma, I can only guess because I can't see your nose myself but most likely yes. I got my new nose piercing 6 weeks ago and the person who did it for me said that after 6 weeks, I can remove the stud and replace it with a new piercing. I got an infection sadly and I went to the doctors and got some antibiotics and cream. The antibiotics are finished but I still have the cream. I changed the stud and replaced it with a new one, it is small. Will anything happen to my nose piercing ? I'm so worried. Isabelle, the repeated trauma is what is continually causing scar tissue (a keloid), to form. You may need to change to jewelry which can't be pushed into the piercing so much if you can't seem to stop having accidents. Kelsey, from over the Internet, I can't tell whether you are having an infection or a metal reaction either. Whisper, my own opinion is that jewelry which can sink into a piercing to the point it feels gone is an issue. Whether you get larger or a different style of jewelry is best decided with an in-person visit to a reputable piercer who can see you piercing and fit something properly. Rubi, the issue here is not healing your nose, it's whether or not your boss is going to allow your nose ring, and people have to settle these workplace problems for themselves. Suffice to say, nothing you are suggesting, both covering your nose or putting jewelry in and out daily is going to help your nose heal at all. I got my nose pierced a few days ago and it seems to be coming out slightly and I have read up to just try and push it back in but it's not going back is it because I haven't got a back on it? So I got my nose pierced in February and changed it 3 weeks ago to a 24kt gold stud but then went on an airplane and got a keloid... I'm guessing because I messed with it on the plane and probably got bacteria on it. However, I've been proactive about doing salt water soaks but I think I pushed on my nose stud too hard with the salt water soaks and made my hole bigger and i keep on, by accident, pushing the stud inside through the hole making another keloid (it's like a never ending cycle) and I've been dealing with all this for 3 weeks now. I just put on equate triple antibiotic in hopes to make it heal a little quicker..... Any advice? Hi, I got my nose pierced about 5 days ago. My employer didn't like the idea that I had one despite the fact I putting a bandaid on. We have daily 15 mins meeting before work and about 30 mins before the end of the day. Can I take it out for that time of the meetings and put it back in everyday? I got my nose pierced yesterday and had no pain what so ever. Most times I don't even notice it's there. I was in the shower and I really didn't even remember having the piercing. So for whatever reason I rubbed my nose kinda hard and it instantly felt weird. I felt and the stud was gone after a minute of panicking trying to find it I realized I had pushed it into my nose. It wasn't all the way through and I was able to push it back out. Should I be worried this will cause issues? Jo, in the end, many people with new nose piercings never have a definitive CSI moment where they are able to figure out exactly what happened to their piercing while they were asleep. Because the nose flexes and jewelry does not, anything from snagging to rubbing or bumping or any adjective you can think of might have happened. The cleanup is annoying but it's also a fact of healing some piercings for some people. You have to try and not sleep on the piercing, which I know sounds impossible, but thinking that a lot before you go to bed really does have a helpful effect the same way telling yourself you will remember your dreams really does work for that to. Chelsey, if the skin of your face is suddenly peeling in large areas for unknown reasons, you need to go see a doctor immediately. Amanda, light green color indicates some sort of infection, so not only should you be cleaning it like you are, you should daub a little antibacterial ointment on it. The sunburn may have led to he piercing getting a skin break, and if you were swimming or sweating p, it's not too hard to get something in there. Hi I have a question I got my nose pierced about three weeks ago. I got a hoop done on my left side of nose and the skin around it is peeling. Also the same side of my face skin is peeling also my lips and was wondering if it's dry skin or a allergic reaction. Also it bleeds when moved and still a little swollen. I had my nose pierced almost three months ago, and everything was great til I got a little sun burnt then ever since its been red a little sore and clear stuff comes out when I mess with it. I clean it about 3x a day and when clear stuff dries to ring it's light green crusty. I was cleaning it tonight getting ready for bed with a q-tip covered in bactine (piercers suggestion) and while cleaning from inside almost pulled stud all the way into my nose! I had to shove it back out. Should I keep doing what I'm doing and wait another 3 months for full heal now! Any suggestions. The clear stuff and soreness has been going on for about two weeks now! Julian, my Hub lists what I feel is the best healing times (3 months) and describes what jewelry I feel is best, so for you to write to me and ask what you should do, I think you need to look at the piercing, evaluate how it feels and do what you think is best. You are the one living with the piercing, you best know what will work for you. Sarah, I do not know if it is "normal" but it is reported by a lot of people after they have done the same thing.